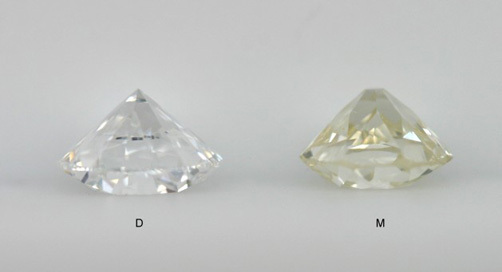 Colors K, L, and M are considered "faint yellow" or "faint tint" diamonds.  In this grade, color becomes more noticeable against a flat white background and is slightly observable in the face up position. 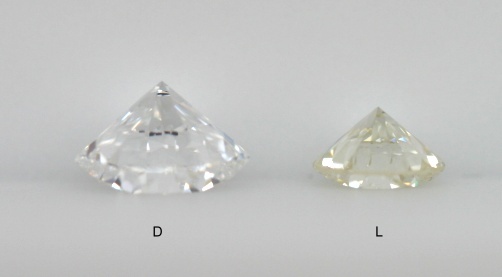 Here are the colorimeter results of these 3 stones. 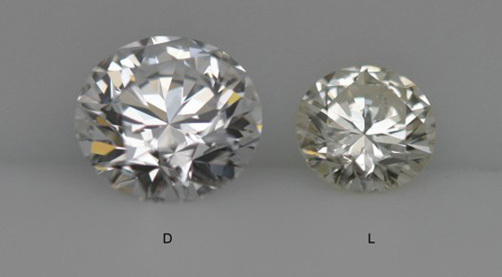 K color diamonds are really not bad if the cut quality is exceptional.  We do and will purchase K colors for stock as long as the yellow is not obvious in the face up position. 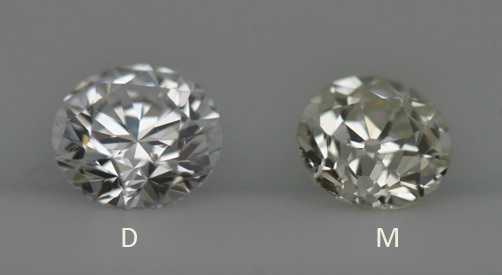 Here is a K next to a D.
You can see the hint of color in the K; however, some ladies, if given the choice between a warmer color like this but can have a larger size, you'd be surprised how many may opt for the larger size. 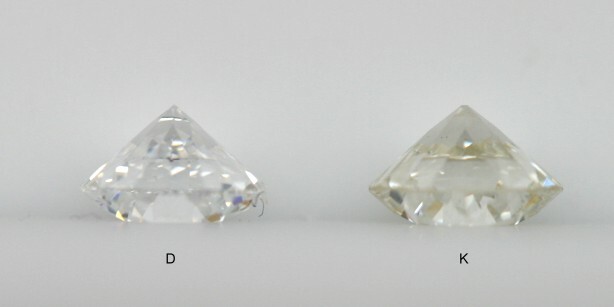 The above graphic is a good demonstration of the difference in the faceting between a modern ideal round brilliant cut and an old European cut round. Besides the color difference note the chunkier faceted look in the stone on the right. In L colors it becomes a little easier to see the warmth in the face up view.  Click to proceed to "Tinted Color Diamonds".